Ackerman Security is a local security company operating in the Southeast and Mid-Atlantic that provides a traditional approach to home security. Ackerman operates its own UL Listed monitoring center in Atlanta, Georgia. Founded about 50 years ago, Ackerman Security sells, installs, services and monitors Honeywell security and home automation systems Georgia, Virginia, Maryland and Washington DC. While their website paints a pretty picture of the benefits of home security and advertises low monitoring costs and price of entry…the site offers little detail. Do Online Ackerman Security Reviews Tell the Real Story? Internet Ackerman Security Reviews often paint a different picture– with complaints of aggressive sales tactics overzealous sales representatives, misleading advertising and auto-renewal clauses. And while they advertise low initial prices and rates….the price quickly escalates when they up-sell customers to the more popular products and services. Changes in leadership at Ackerman Security – Sound the Ackerman Alarm? February 2017 Update: The Atlanta Business Chronicle recently announced that the CEO of Ackerman Security, Jim Callahan, is retiring after 20 years of service. Rich Perry, former CEO of Security Networks will take over as CEO. Security Networks was a large regional dealer network which was acquired by Monitronics in 2013. How this will impact the future of Ackerman Security remains to be seen. Does this signal a transition toward a large independent dealer organization bearing the Ackerman brand? Current Ackerman Security Customer? Leave Your Review! Potential Ackerman Alarm buyer…. or current customer? Looking for the best home security company to protect your home and family?…Or maybe you happen to be an existing Ackerman Home Security customer and want to share your experience. The Home Security Advisor was created as an in-depth information resource to help home security buyers find the facts they need to make informed decisions about security and home automation. Potential benefits of owning an Ackerman Alarm. There is a lot of information here. So check out our handy table of contents, with “quick jump” hyperlinks that allow you to navigate straight to the particular sections that interest you most. This 2019 Ackerman Security Review Summary is followed by an in-depth editor’s review and a section for customer’s Ackerman Security Reviews. These Customer Reviews and ratings are averaged and appear under the editor’s “HSA Reviews” score in the “Users” votes. If you have an Ackerman Security System, please share your experience in our section for customer reviews. A well regarded local, full service security company. See how Ackerman Security compares with the competition! Ackerman Security was founded in 1967 and has almost 50 years of experience of protecting homes and families in the Southeast and Mid Atlantic. While the home office is located in Atlanta, Georgia, they offer their services in Georgia, Washington DC, Maryland and Virginia. If you do not live in these states, you should check out our Top Alarm Companies. Despite being more of a regional provider, Ackerman ranks #20 in the SDM Top 100 and has an A BBB rating. Ackerman Security operates its own UL Listed, CSAA Five Diamond Certified monitoring center, located in Atlanta, Georgia. They offer a full menu of monitoring options which start at just $19.99/mo. for basic landline monitoring. The Ackerman website lacks transparency when it comes to monitoring options and feature availability. However, they do offer a la carte monitoring options- for example, get cellular and interactive features for an additional $14.00/mo. Home Automation and Security Camera observation and offsite storage are also available…for additional fees, depending on consumer needs. They don’t believe in a “one size fits all” approach and don’t promote any particular security “packages”. Instead, they advocate a more traditional custom-tailored approach to home security, in which they will dispatch a “security consultant”, aka salesperson, to provide a security solution that is custom tailored to your home security needs. While this might sound good on paper, be prepared to spend at least an hour with a salesperson that has been coached to maximize “upsells” and “close” the sale on the spot. Check out an excerpt from an online review on Yelp. Customer Service- How well are Ackerman Security Systems supported? Their A BBB rating is indicative that they take the necessary steps to resolve serious customer complaints and issues that are filed with the BBB. It should be noted that the majority of these complaints pertain to problems with the product or service. Extensive scrutiny of online customer rating and feedback reveals a number of concerns with misleading advertising, aggressive and misleading sales tactics, contact misinformation, and difficulties in canceling service. The Ackerman Security App is available for both IOS and Android phones. The Ackerman Security App is rated 3.7 on Google Play and 4.0 on I-Tunes. It gets mixed customer ratings on many Ackerman Security reviews…but, overall seems to be a solid mobile App that will enable one to control security and home automation of the Ackerman Alarm system from most any mobile device. Ackerman Security is a traditional, local home security company that offers a wide array of products and services, and premium quality Honeywell systems. They are a reasonably good choice for one who resides in the Southeast or Mid Atlantic who is looking for a locally owned company that provides customized, professionally installed home security…and is willing to pay a premium price. Up front costs will likely be substantially higher than some of our top ranked home security systems. There is little online transparency regarding pricing and their “old school” sales approach may make some people uncomfortable with the potential of having to deal with a “pushy” salesperson. If you reside outside the service area and/or are looking for the best values in home security, I would invite you to check out our Top Alarm Companies, before making a decision. Can Ackerman Security compare to our Top Alarm Companies? Please feel free to offer your comments, feedback on this Ackerman Security Review or share your experience below. Ackerman is an authorized Honeywell dealer and offers the full lineup of Honeywell products and services. Ackerman Security partners with Honeywell to offer their customers a comprehensive line-up of state of the art home security equipment. 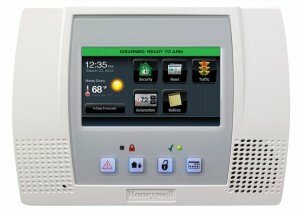 The brains of the Ackerman Security System is the Honeywell Lynx Touch 5210 panel. The Lynx Touch incorporates the majority of the most desirable safety and home automation capabilities. 64 Wireless Zones means it is fully expandable. 32 User Codes-enables you to easily control access. Cellular – Accommodates cellular chip for wireless communication. Eliminates the chance of cut phone or cable lines. Z-Wave- Most popular frequency for wireless home automation devices. Total Connect Interactive Services-Monitor and manage your system from any computer, tablet or mobile device. Bypass Door/Window Sensor permits you to briefly bypass a zone with the touch of a control button while not having to disarm the system. Recessed Door/Window Sensor -Drilled straight into a solid wood door frame…so it can be concealed from view. Garage Door Contact-Designed for overhead garage doors, this kind of tilt sensing unit registers a change in the angle of an overhead garage door. Motion Detectors-typical PIR (passive infrared) pet-friendly (up to 40 lbs.) detectors protect a 30’ x 35’ region. Glass Break Sensors – are dual technology acoustic detectors which identify the sound of breaking glass in areas having numerous glass windows. Image Sensors-combine a built-in still digital camera along with a motion sensor. Could be interfaced with the Total Connect mobile application to make it possible to receive e-mail or text notifications whenever motion is recognized. 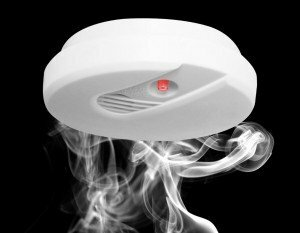 Wireless Smoke Sensor- This multi-duty smoke alarm includes a photoelectric smoke sensor combined with a rate of rise heat detector. Carbon Monoxide Detectors-Detects the presence of CO- Carbon Monoxide. Sounds a local alert and notifies the Central Station as well as sends an e-mail alert to your mobile phone. 4 Button Key Chain Remote-handy key fobs that will allow you to arm and disarm the system as well as trigger a panic alarm. Wireless Remote Panic Button- this particular water-resistant panic button may also be used inside the shower. Freese Sensor – Detects low temperatures to guard against frozen pipes. Z-Wave Thermostat-This unique programmable thermostat could actually help reduce the electricity costs. This can be effortlessly programmed and managed from any place from the interactive App and may also be set up to regulate your temperature if the system is armed or disarmed. Z-Wave Plug-In Modules- connect straight to typical wall receptacles and control connected lighting fixtures as well as home appliances with the touch of a button through the Honeywell Lynx control panel, as well as virtually any web-enabled pc, tablet or smartphone via the interactive services of Total Connect. Ackerman also has doorbell and indoor security cameras available. All cameras are wireless and viewable on the internet through your wi-fi connection. Keep in mind, the cameras still require a power connection. 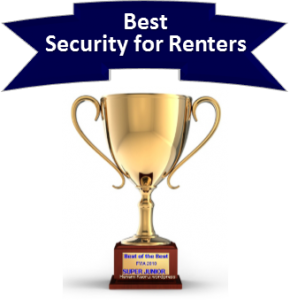 How does Ackerman Home Security compare with the top competition? If you live in the Southeast or Mid-Atlantic, and are looking for an alternative to ADT, Vivint or Monitronics and want a professionally installed security or home automation system, Ackerman is a reasonably good choice…IF you are willing to pay a premium price and don’t mind scheduling an appointment with a salesperson to get an idea on pricing and contract terms. 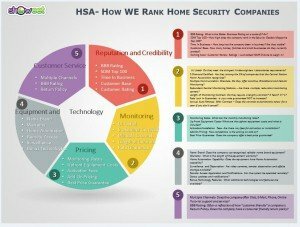 There is a major lack of transparency on the website and a plethora of negative online reviews and feedback regarding their sales and contract renewal practices.We feel that there are a number of better security options offered by our top rated security companies and those listed in side by side comparisons, below. Vivint specializes in home automation and has one of the highest regarded mobile applications to control the system remotely. Their new Flexpay option enables prospective customers to finance the equipment over 42-60 months with 0% interest. If a customer elects to purchase the equipment outright…there is no monitoring contract required! Before committing to a long term contract, evaluate our Ackerman Security Reviews, and take a few moments to consider Vivint. If you are primarily interested in a professionally installed home security system, then both Ackerman and ADT are both prominent names in the southeast and mid-atlantic. 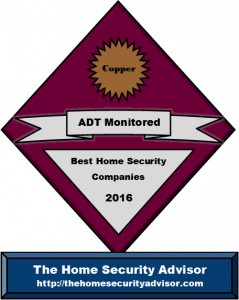 However, ADT has a national service footprint, is also professionally installed and is easily the most experienced and trusted name in home security. They help protect over 6 million homes and businesses in the US…and have been in business over 140 years. While Ackerman has a quality monitoring center, ADT owns and operates 6 UL Listed, 5 Diamond Certified monitoring stations staffed with the most highly trained professionals in the business. In the event of a regional disaster, calls are re-routed to another monitoring center so that ADT customers are never without protection…no matter what mother nature does. *$99 charge for parts & installation with monthly monitoring services. Termination Fee Applies. For New Customers Only. (See T&Cs Below) So if you are looking at professionally installed home security systems, you should definitely investigate what has made ADT the #1 name in the home security! Navigate to the Frontpoint site, and you will find pricing, equipment, monitoring rates, ownership and warranty policies all clearly spelled out. Conversely, there is a major lack of transparency on the Ackerman Security website. While they prominently promote their basic landline monitoring services, they do not list pricing for broadband and cellular monitoring or interactive and home automation services. There are no equipment packages or pricing to facilitate consumer comparisons. Want details an pricing? Well, you’ll have to schedule an appointment with a salesperson. Frontpoint security systems are comprised of top rated GE Interlogix and Qolsys equipment. On the site you’ll find a full description with specs and pricing on all components. Monitoring costs run from $34.95-$49.95…and all included features are clearly defined. They received our Gold Award as one of the TOP Home Security Companies of 2016. Frontpoint systems come standard with Cellular monitoring -which means that there no phone lines that can be cut. Ackerman focuses on their “Low 19.99 Monitoring Rates”….but, doesn’t openly disclose that the price is for landline monitoring, which is easily defeated by cutting the phone lines. If you want cellular monitoring…it’s available…at an additional cost. And don’t forget, you will have to include the Cellular Communication Chip….at an additional cost. With Frontpoint– basic systems include integrated cellular communication and are just $99.00.…with extremely competitive pricing on their add-on sensors. Once again, Ackerman does not list equipment details or pricing. Expect to pay $300 or more for a basic wireless system, a couple of hundred extra on the cellular communicator, and significantly more on additional wireless sensors to have them professionally installed. Security systems used to be complicated and require drilling holes, fishing wires and programming systems. Modern wireless technologies have evolved to the point where installing a security system from a reputable DIY Alarm Company means mounting a few sensors and calling in to activate the system. Frontpoint pre-programs and configures the system before shipping it out…so installation is a snap. Over 90% of Frontpoint customers found the system “easy to install”. Ackerman uses Honeywell’s Total Connect‘s interactive service platform. Developed by Honeywell, it is a solid mobile app which offers full security and home automation management on IOS, Android and Blackberry devices as well as their web portal. After rigorous testing, Frontpoint has introduced a premium touchscreen Qolsys control panel, which can display local weather 5-day forecasts and provide severe weather warnings in an emergency. The Qolsys IQ is even equipped with an integrated camera which captures and stores and image of anyone who arms or disarms the security system. So you will always know who has your codes and accesses your system! Most Frontpoint customers will save hundreds, or even thousands of dollars over a professionally installed competitor- without the prospect of having to deal with a “high pressure” salesman in the home – or the hassles of scheduling and allowing strangers in the home to install the system. and the very best customer service in the industry. 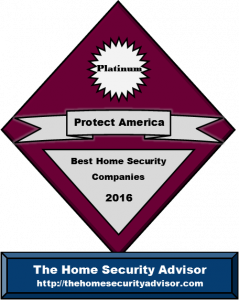 Protect America is the leading provider of DIY home security systems and was chosen as our #1 Best Home Security Company of 2016! With over 20 year’s experience-, they deliver most of the same benefits over Ackerman…without any upfront costs. Protect America has removed the single biggest barrier to owning a security and home automation system by eliminating upfront equipment AND installation costs! They use the highly regarded Simon XT control panel which is very easy to use, reliable and comes backed by a Lifetime Warranty. The Protect America Platinum Packages includes up to $1400 in FREE Equipment! An Ackerman Security System will easily cost you hundreds, even thousands of dollars up front. Get the Lowest Up Front Costs– with Protect America! 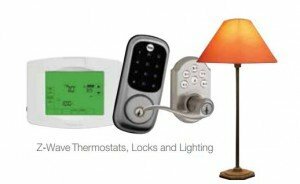 Link Interactive is an up and coming DIY alarm company-which is backed by over 60 years of experience in home security sales, service and installation. They are a division of Mountain Alarm-a company that enjoys an A+ BBB rating…and an astounding 98% customer approval rating. While Ackerman has had 207 BBB complaints in the past 3 years, Link Interactive has not had a single case lodged against them. All for just $39.99 a month. Want video? No problem…just $5.00 more. In addition to having unbeatable prices and a very extensive equipment selection, they have an experienced installation and tech support team to ensure that the system gets installed right! For exceptional service, equipment, and all-inclusive monitoring rates…check out Link Interactive! Armorax DIY or Ackerman Professional Install? If you are looking at Ackerman Home Security, you are probably leaning towards a professional installation. If wireless systems weren’t so much better than hardwired…that might still be the way to go. However, the vast majority of systems that Ackerman installs are wireless. Security systems used to be complicated and require drilling holes, fishing wires, and programming systems. Much of our preliminary interest regarding Armorax has dropped away substantially as they continue to exhibit signs of having problems. The BBB report has recently slipped off significantly coming from an A (during the time of the original Armorax vs. Ackerman Review) to a C+. This is likely indicative of the fact that company has not responded to customer complaints-even after getting lodged using the BBB. Throughout our secret shopping endeavors, we have found that even the sales team is unable to pick up calls. Incoming calls are generally handled using a voice mail that instructs one to contact 911 if this is an emergency…or to stay on the phone for the product sales representative. Following two or three minutes on hold, the calls were finally handled by an answering service who request a name and telephone number to get a return call. This makes one wonder what happens if I have a trouble with my system? Moreover, Armorax has switched brands three times over the past twelve months. They have changed from the innovative 2 Gig line up, briefly offered the Interlogix Simon XT, and are now offering the lesser known Resolution Helix control panel. They have also totally changed their monitoring rate structure 3x during the past calendar year. Their current offer will set you back $99.00 up front and additionally, basic monitoring starts at $34.99. The Mobile APP is additional! Additionally, the total absence of online transparency does nothing to encourage confidence. Presently, they have a single page website that features little if any details about the firm history, products, price, monitoring company as well as services, Mobile App, Set up guidance or even training videos …or just about anything else which a potential customer might choose to know. While the company exhibited excellent potential formerly, we’re no longer enthusiastic with regards to them as a good alternative option to Ackerman. In our opinion, you can find much better alternatives. The original Armorax vs Ackerman Security Reviews are presented below for comparison purposes. Armorax has a similar BBB Rating, but far fewer negative Armorax reviews and is fully accredited with an impressive 88% positive reviews on the BBB rating page. This translates to a 4.67 out of 5 stars! Ackerman Alarm Systems are only available in the Southeastern states of Georgia, Washington DC, Virginia and Maryland, whereas Armorax is available virtually anywhere. And with Armorax, there are no relocation or activation fees. Just give them a call, remove the system components and set them up in your new home. When it comes to pricing, Armorax keeps it simple. The basic system is the heralded 2Gig Technologies GC2, and it is FREE with a 36-month monitoring agreement! Add on components are competitive with the other wireless DIY alarm companies. (for current promotional pricing…just give them a quick call at …866-355-0640) Typically add-ons are roughly half the price of professionally installed components. Want pricing with Ackerman? Good luck with that…. There is a major lack of transparency on the Ackerman Security website. While they prominently promote their basic landline monitoring services, they do not list pricing for broadband and cellular monitoring or interactive and home automation services. There are no equipment packages or pricing to facilitate consumer comparisons. Want details an pricing? Well, you’ll have to take time out of your day to schedule an appointment with a salesperson. Armorax Blackbox security systems are comprised of top rated 2Gig Technologies equipment. Based on these offerings, Armorax is taking the industry by storm. 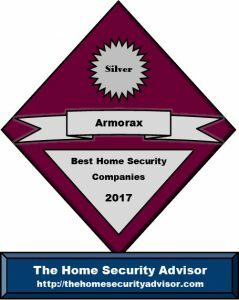 They received our Silver Award as one of the TOP Home Security Companies of 2017. While Ackerman advertises “Low 19.99 Monitoring Rates”….but, doesn’t openly disclose that the price is for landline monitoring. A basic Ackerman system is easily defeated by cutting the phone lines. If you want cellular monitoring…it’s available…at an additional cost. With Armorax– the basic system is free and includes cellular communication chip! There are no additional costs for the cellular monitoring. 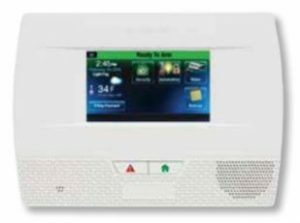 An Ackerman Alarm System uses Honeywell’s Total Connect‘s interactive service platform. Developed by Honeywell, it is a solid mobile app which offers full security and home automation management on IOS, Android and Blackberry devices as well as their web portal. It includes GPS Vehicle and Asset Tracking, and Advanced Protection Logic which is similar to Crash and Smash protection. In keeping with their “get the best for less”, Armorax offers a premium touchscreen 2Gig GC2 control panel which can display local weather 5-day forecasts and provide severe weather warnings in an emergency. What happens to my Ackerman Security System if I move to an area not serviced by Ackerman Alarms? One of the problems in dealing with a system that needs to be professionally installed is having to deal with relocation outside the service area. Unfortunately, if you move outside of their relatively limited service area, you may have to absorb the costs of getting your Ackerman alarm re-installed…or have to pay a substantial cancellation fee equivalent to the balance on your contract. This is one of the main complications usually described in negative online Ackerman Security reviews. To get details, call Ackerman Security support service for anyone who is presently customer. If you’re not, be certain that you have a clear understanding of the contract obligations and the relocation guidelines before you sign up. Be careful not to be reliant upon verbal promises from an Ackerman Security salesperson- Make sure you have it on paper. In the event you aren’t 100% satisfied with the replies you end up with, take a look at some of our top 5 best home alarm systems prior to making a choice. If you have experience with relocating and Ackerman Security system, feel free to share your experience in our Ackerman Security Reviews section. Almost all security system businesses require that one signs up for a a 3-5 year written monitoring agreement. Ackerman is no different..
Once the long term contract is finalized, the client has a three day right of rescission. If you just had an Ackerman system set up, it’s essential to moving swiftly to be able to end the contract within 72 hrs of that time period the documents was in fact finalized. Once beyond the rescission period, one may be responsible for all, or perhaps the overwhelming majority of the monitoring installments for the total amount of the contract, even in the event you transfer beyond the operation areas of the provider. So in case you think you could potentially be relocating, make sure that you understand your liabilities to Ackerma before you make a commitment. Escalation clauses- A lot of companies retain the authority to increase monitoring rate following the initial year…even when the contract time period is actually greater. Automatic Renewal Clauses – A number of contracts repeatedly renew on an yearly, (or possibly greater period) once the 1st term is complete unless the customer legally cancels the agreement and meets all the required terms associated with cancelling. Cancellation Conditions – Often times, the contract needs to be ended in writing, Thirty and even Sixty days prior to the conclusion of the principal written contract. Ackerman Home Security reviews caution readers that it is important to make contact with Ackerman Security support services and fully understand what conditions need to be met in order to end the deal. When it’s time to complete that long term contract, make certain you take all the expected steps and document each of the contacts. Make sure to archive your efforts and keep them wherever they’ll be easily retrieved just in case there happens to be conflict. Also- you’ll want to check your banking account to make certain that there are no unauthorized automatic debits subsequent to the agreed upon date. As a result of your experience with Ackerman Home Security, it will be easier to define what you are looking for in a home security company. Our simple security system quiz may help you narrow down the choices. Will a pet set off the motion sensor? ….can be a significant part of your home security system. They’re a great way to protect an entire room or area. Your Ackerman home security system motions will screen out pets under 40 pounds if they are properly positioned. If you have a larger pet…ask your Ackerman alarm rep about detectors that could screen out pets up to 80 pounds. In case you’ve got a larger pet that can not be confined from regions covered by motions, you might also create a “pet alley”. Ask your Ackerman alarm technician for details. And finally, you might want to think about a glass break detector as an alternative. If you have a pet that you are concerned might set off a motion, you can use your Ackerman Security App to disarm the motions and yet still keep the perimeter protection armed at the doors and windows. If you already have an Ackerman security system, share your experience in our section for customer Ackerman Security Reviews. 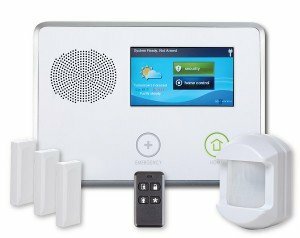 Is a landline mandatory for Ackerman Home Security monitoring? An Ackerman alarm does not require a landline for monitoring. As a matter of fact, cellular monitoring is optimal for Ackerman security systems. This means there are no phone or cable wires that can be cut to interfere with sending an alarm signal to the monitoring station. Additionally, cellular or cable connections are required for the Ackerman Security App. 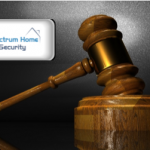 While some Ackerman security reviews might complain about the additional expense of a cellular connection, many homes are defraying Ackerman security prices by eliminating the landline completely. The most common complaints on Ackerman Security reviews involve aggressive sales and advertising, poor customer service, limited service area, auto renewal clauses and high repair costs. Can renters get Ackerman Security? Does Ackerman Security install security systems for renters? While they do not clearly stipulate that they do not, the majority of home security companies that offer professional installation require homeownership. If you are renting a home, condo or an apartment, you will need to contact them directly and will likely be required to furnish documentation of landlord approval. 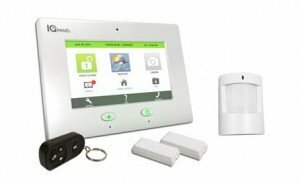 If you are renting, you should check out our Ultimate Guide to Apartment Security Systems – Best Alarm Systems for Apartment and Renters. It is an invaluable tool for anyone looking for an apartment security system. OFF — When your Ackerman Security system is turned off, some of the features of the sensors are still active. Your Ackerman Security App will still alert you if a doorway that our window is opened. The environmental and life security systems are active 24/7 and will still send a signal if a fire breaks out or there are excessive carbon monoxide emissions current. Stay– Your Ackerman Home Security system will also let you arm just the windows and doors in the “stay” mode. This will let you move about the home freely while the perimeter is protected. Away– The Ackerman alarm away style will trigger any interior motion sensors as well as the windows and doors. Instant — You are able to eliminate the entry delay in your Ackerman security system by arming it in instant manner. Duress – You may set up a special duress code to use if someone were to force you to disarm the system. This special code is available at no additional cost and does not affect Ackerman Security prices. It will trigger immediate emergency response. If you’re already an Ackerman alarm customer, please feel free to share your experiences in our area for Ackerman Security reviews. Your Ackerman Security reviews assist our readers in determining if Ackerman equipment is right for them. Do I need a permit to install Ackerman Security? Is it necessary to obtain an alarm permit to put in an Ackerman Security alarm system? As it happens, you do not need a permit to install Ackerman Equipment when the system is not professionally monitored. Nevertheless, as the as your Ackerman Security System is going to be remotely monitored with the aim of utilizing emergency response assistance, lots of local municipalities would require a permit. In most cases, this involves very simple enrollment in conjunction with your city law enforcement or sheriff’s department together with some sort of moderate charge. One will probably also be asked to present the company name, address and phone number of Ackerman security, along with their monitoring station. Anywhere permits will be required, most cities will administer a one-time service charge to enroll an individual’s home security system, even though cities demand a yearly renewal as well. Regarding cities with higher robbery and false alarm rates, failing to register may result in a refusal to respond to locations that lack a burglar alarm permit…although this really is somewhat exceptional. Having said that, our Ackerman Reviews would be incomplete if we did not make you aware that you may well be responsible for even more fees in the instance that law enforcement, fire or perhaps emergency medical support are dispatched to a physical address without a permit with regard to towns in which one is needed. Even though a license is in fact obtained, virtually all communities are going to assess penalties with regards to numerous false alarms. For the most part, communities have procedures in place where your 1st 1 to 2 dispatches usually do not require penalties. And after that penalties and fees normally increase from $25-50 to your 1st enforceable offense…to $100-200 for subsequent recurring infractions. For that reason, it’s very important that Ackerman Security system owners get hold of the town’s police department, discover what permits are expected, acquire a thorough comprehension of the local guidelines and ensure that they consider appropriate practices in order to avoid false alarms. As previously stated, false alarms resulting from the use of Ackerman security equipment may be not merely a nuisance, but, could additionally place a distinct strain on your area law enforcement department as well as emergency services departments. While Ackerman Security won’t charge you, it may result in costly penalties from your local town or city. The vast majority of calls originating from Ackerman Home Security are caused by false alarms. That is why the largest percentage of municipalities enforce charges to property owners as soon as they go beyond a selected amount false alarms. To protect yourself from penalties, listed here are some recommendations to avoid false alarms. • Make certain everybody knows how to disarm the burglar alarm. Your security alarm will have a master passcode, as well as a number of additional operator codes which may be programmed into the system. Attempt to make sure that everybody knows their code and is comfortable with the process of disarming your system. • Ensure that everybody also is familiar with the security password. In the case of an alarm, the central monitoring station is going to typically contact your house for starters and request the security password to verify that the man or woman picking up is definitely an authorized party. If there is an alarm, and whoever is picking up telephone call is unable to deliver the precise security password, the police will likely be dispatched. • Confirm that all windows and doors are properly secured prior to setting the system. An entrance that’s been left a little bit ajar could possibly be blown open in your absence and set off the alarm. • Ensure that all devices are mounted securely and in the most suitable places. Motion sensors need to be mounted at a height of 6’ as well as away from the fans, heating units, fireplace and air conditioning. • Be conscious of items that may very well trigger a motion sensor. It’s not only the pets ..Air conditioners could potentially cause fluttering curtains or plants…and beware of helium balloons that can be transported within the home by air currents. Make sure they are tied down removed from motions. • In a perfect world, pets must really be limited to areas removed from motion sensors. In the event that that is not manageable, there are actually “pet-friendly” or “pet immune” detectors which can screen out smaller pets under 40, 50 even 80 lbs. Motion sensors can also be set up to generate pet alleys whereby pets could move freely about. The alternative choice is to utilize glass break sensors as opposed to motions. • Don’t forget to replace batteries when required. The majority of security systems employ Li-Ion batteries which probably have at least a 2-year likely lifespan. Your Ackerman Security App will typically warn you if the batteries are becoming low and additionally alert you should there be approximately 30 days of useful life. It is advisable to acquire extra batteries and keep them readily available so you can remove and replace old batteries promptly. Your system will even report to you should there be virtually any failures of sensors. Should you have a system error alert, do a status check and check out the sensor. Contact Ackerman Security customer service whenever it appears to be not operational. Save your user Ackerman Equipment manuals/codes/passwords in a very protected selected location where they can be checked when necessary. However, the best way to avert false alarms is to use your system regularly and ensure that everybody understands how to operate the system. What are some of the other benefits of purchasing an Ackerman Security System? Following is a just a few of the benefits and features that home security prospective buyers can take advantage of after they choose to acquire an Ackerman home security system. Ackerman Equipment provides you with protection against fire. According to the NFPA (National Fire Protection Association), a fire happens every Twenty-four seconds in the united states. In 2014 there were very nearly 1.3 million fires documented, producing over 13,000 injuries, three thousand of which ended up being deadly, as well as leading to practically 10 billion dollars of property damage. A monitored Ackerman security system ensures that heat, fire, and smoke are detected at the earliest possible point in time, and that the fire department is promptly alerted – irrespective of whether you’re home or not. You might not be there to shield your home, pets and treasured ones…but your alarm system will make certain that help is on the way. Keep an eye on CO concentrations with an Ackerman Security system. Carbon monoxide is a colorless as well as odorless gas produced by ineffective combustion. Fumes from running automotive motors, propane stoves, generators, inadequately serviced home heating systems, burning timber or even charcoal can all wind up being deadly when undetected. Although it is common for one suffering from carbon monoxide poisoning to end up being nauseous, light headed, disoriented and too overwhelmed to summons emergency assistance…your alarm system won’t be. Healthcare Emergencies- Medical alert pendants or watches give the aging adults or perhaps individuals with unique requirements to quickly summons help in case of an accident or health-related scenario. These wireless panic alert buttons will be able to typically operate within about 100’ of the base unit, and enable anyone to communicate directly with the qualified monitoring station operators in the event that equipped with 2-way voice communication. Online Ackerman Security reviews indicate that customers are very interested in the home automation capabilities of an Ackerman Security system. Manage Temperature – Nowadays you can control temperature settings and also control the heat range of your residence from anywhere on the planet with internet access from your Ackerman Security App. It allows you to customize any Ackerman equipment you have installed to match your normal standard of living …and enables you to set up systems to operate on auto-pilot any time you arm or disarm your system. Looking to have the property cozy warm or cool when you arrive home? The security system can be regulated manually from your smartphone with interactive programs. Keep an Eye on Pets- Ever wonder what Rover does while you are away from the house? Video cameras let you remotely observe anything that transpires when you are out and about. Keep tabs on your pets…and much more. Check on package delivery- Mount a motion activated outside Ackerman security camera and you’ll find out who’s knocking at the front door and may also actually receive an email alert along with video clip if a package has been delivered. Supervise Gun Display cases and sensitive areas -Your Ackerman Security Systems will be able to monitor assets as well as particularly susceptible areas without having actually activating an alarm by using door sensors and programming them as non-reporting zones, that won’t trigger the alarm system, but that will prompt an e-mail alert. This will advise you that a person has accessed a gun cabinet, liquor cabinet, home office drawer …or virtually any sensitive location that you desire to keep tabs on. To determine just how budget friendly an Ackerman Security system can be… call them for a customized quote and then compare to our Top Alarm Companies. Questions to ask your self prior to deciding on Ackerman Security . There are a number of concerns contemplate prior to selecting Ackerman Equipment.Since you are committing to a long term written contract, it is essential to look at a number of conditions before you sign any contract with Ackerman Security. No matter whether somebody came knocking on your front door, called you on the telephone or you are actually responding to another glossy full page color offer which arrived in the mail….it is recommended to ensure that you have a complete comprehension of the many options available to you to make the most appropriate evaluation you possibly can. Do it yourself compared to Expert Installation? One of the primary issues to consider is whether you would like to put in the system yourself or perhaps provide for an expert installation. The technology has become greatly upgraded in recent times to help make the equipment amazingly user-friendly…and quite simple to install. The more experienced DIY alarm service providers have dramatically streamlined the installation program for you to keep it uncomplicated even for the most technically challenged folks. They will pre-program the whole system prior to sending it out, to make certain that all the client has to do is attach the devices and simply contact them to have the system initialized. While online Ackerman Security reviews complain of poor installation and service, in excess of 90% of homeowners observed our best do-it-yourself alarms systems very easy to install! Although an expertly installed system from Ackerman Security would definitely require a reduced amount energy, many people found that the components supplied by the preferred DIY security alarm providers ended up not being at all difficult to put up, convenient to use and consequently were able to save people a significant sum of money instead of professionally installed Ackerman equipment. If you should choose Ackerman Security, you should definitely inquire how skilled your installation specialist is and if they have been background checked and have undergone drug screening process. Inquire if your company uses their own employees or just makes use 3rd party sub-contractors. Utilizing subcontractors is not automatically bad (they could even provide more expertise than company technicians) nevertheless ensure that they should have undergone comprehensive vetting before permitting them inside your your house. Whenever searching for the right security service to help you protect your residence and family members, we advise deciding on a nationwide home security company. In a mobile society, you will never know when you may have to transfer…and need to secure your home located in another part of the country. Ackerman Security reviews have expressed concerns with some of the difficulties in getting Ackerman equipment removed and installed outside of their service area. This is not a problem with a nationwide company like ADT Security. Additionally, any of our Top Rated DIY Alarm companies can be easily relocated with any issues. Will Ackerman Security be simple to use? Ackerman equipment has advanced significantly over the past several years. And furthermore, one of the many great things about breakthroughs when it comes to technologies are which experts claim manufacturers place a substantial amount of emphasis on simplifying the user interface. The majority of providers like Ackerman Security Systems employ modern touchscreen user interfaces which you’ll find easy-to-use and lead the end user with the aid of functions like for example arming, disarming, bypassing areas etc.. These days Ackerman Security Systems interface with completely automated interactive smartphone software, the Ackerman Security App, equipped with home automation capability that allows you to control your residence from anywhere around the world equipped with computer access. A number of systems are even making use of speech control functionalities via their own equipment, Google Home or Alexa. This means you can perform most popular tasks by simply giving a voice instruction. Expect Ackerman Security to add this capability in the near future. Although you might find that Ackerman Security reviews may suggest troubles with installations, service or billing problems, you will not usually see an Ackerman Security review which complains how the Ackerman Security System is tough to control. During an electrical outage, does the Ackerman Security System continue to function? The Ackerman Security system has a battery back up system that can provide power to the system in the event of a power outage. The back-up battery is usually rated for 24 hours in the majority of Ackerman Security reviews, but that may vary based on the size of the system , configurations as well as equipment. Ackerman Security systems will beep to warn you of the fact that system is functioning with back up electrical power as well as signal you to enter your code. For those who have established notifications, you can even receive alerts over your phone. If you currently have Ackerman Security and have experienced a prolonged power outage, let us know how your system performed in our Ackerman Security reviews. Not ready to invest in an Ackerman Alarm? Want to read more Ackerman Security revies before making a decision? Here a handful of easy steps to protect your home from thieves. 1. Ensure that that the outside is properly illuminated. Motion floodlights around the perimeter will be an economical deterrent. 2. Try to make the your house appear occupied. Put lighting fixtures as well as electronics on random timers to provide the perception somebody is home. Have a next door neighbor park their vehicle in your driveway. 3. If you plan away, suspend newspaper and postal delivery, and also make preparations to have the lawn mowed. 4. Be sure extravagant goods are not exposed from the exterior by drawing the blinds. 5. Never leave a key beneath the door mat, plant pot etc. near the doorway. 6. You should not broadcast that you’re going away on social media, e-mail auto responders or answering machine messages. This tells criminals your property is vacant. Get yourself a professionally monitored wireless home security system. You will definitely rest better knowing your property is secured. Thank you for visiting! Please feel free to share our Ackerman Security Reviews, below or follow us, above. If you or someone you know has experience with an Ackerman Security or an Ackerman Home Security System, we hope you will share that experience in our Customer Reviews. NEVER use Ackerman. They are scam artist and lock you into these ridiculous 3 year contracts. I was told by my installer that if I moved out of their network area then i would not be held to the contract. One year later I moved to North Carolina (which they do not serve) and was told that i would still have to pay the $1090 unless I could find someone else to take over the contract. I refuse to pay this nonsense. I am sorry to hear about your experience with Ackerman Security, Shanice. Unfortunately, this issue is all to common when dealing with a regional security company. Most of them will have a fairly reasonable policy when it comes to relocating a system within their service area, but things become a bit more complicated when you move outside the region where they provide service. Because the company absorbs much of the initial cost of equipment and installation, the company counts on the customer to complete the 3 year contract to realize their profits. Consequently, they are very likely to enforce terms of the contract…and any written terms will supercede verbal assurances. This is one of the many reasons we recommend working with a national company- like ADT, if you are looking for professional installation. They can relocate your system virtually anywhere in the US for free, or a reasonable fee- depending on the equipment and circumstances. The DIY Alarm business has grown tremendously as wireless technology has evolved-making it super easy for anyone to install their own system…anywhere. When you move…just give your service provider a call, and bring the system with you. Some of our top rated wireless companies even provide a courtesy movers kit. Of course, hindsight is always 20/20…and I am sure Ackerman did a good job of convincing you that they were the best option, originally. Hopefully, you can convince the new home-owners to take over your contract and avoid legal issues.